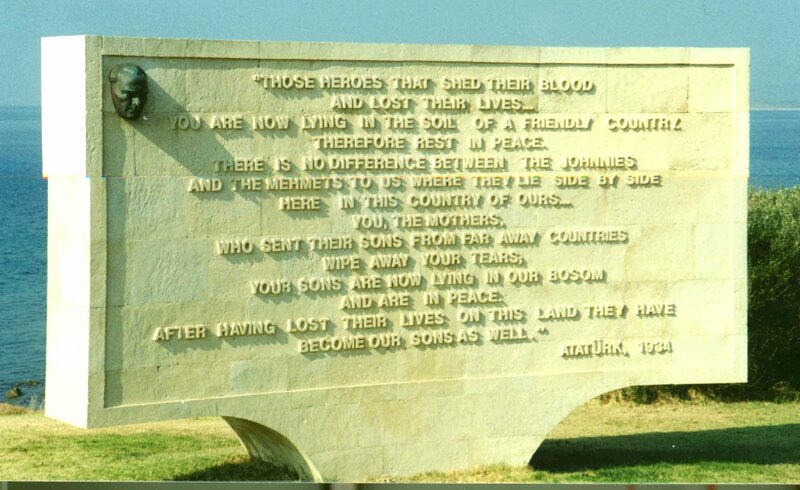 In a similar vein is the purported words of Kamal Ataturk about the ANZAC's at Gallipoli. Ataturk was a Turkish Divisional Commander at Gallipoli and is credited with being a major factor in the Allies defeat. He is said to have said the words on this wall in 1934 (the wall is at Gallipoli) and there are memorials to Kamal in Australia and New Zealand. Does anyone know of any other world war (or other National Wars) enemies who have honored one another so enthusiastically? Joe, that’s quite a story. Thank you. DANG! One heck of a message there. An interesting man of great vision. My Lord, I thought I had heard enough stories about Gallipoli! Kamal Ataturk had to be an honorable man indeed. I have the book. There is a lot more to Franz Stigler's story than is in this short clip. It never mentions how Luftwaffe fighter pilots were treated by the German civilians after the war. They were viewed as cowards for having let the allies bomb Germany. It is a very interesting story. Germany after the war was a strange place. I did not appreciate the differences when I was there but I could see them on later visits. Germany has always been a strange place. Now very “normal”, I.e., European.